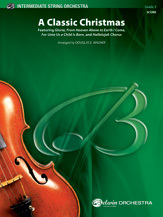 This versatile arrangement can be combined with choir and/or concert band to make a brilliant program finale. Technical accommodations make this piece very playable. 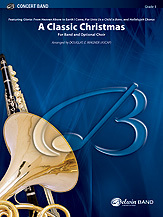 Excerpts from three Baroque Christmas masterworks come together in this festive musical celebration of the season. Titles included are "Gloria" by Vivaldi, "From Heaven Above to Earth I Come" by J. S. Bach, and two movements from Handel's "Messiah."